I was speaking to a client over the weekend and the question came up about “finding your motivation” and getting moving again when you’ve had little to no results. This person had been in the industry for a while but recently started to have problems in the result category and was trying to find the motivation to keep going in an industry she loves. In order to find your motivation even when you’re not getting results, I think it really starts with being honest with yourself. I see people get down on themselves and lose their motivation for not getting results from the work they didn’t do. The key here is the work they didn’t do. Let’s repeat that one more time. People get down on themselves because of the results they aren’t getting because of the work they didn’t do. Here is another way to put it. People are beating themselves up even though they really haven’t done anything in their business! See the problem with that? Does that make any sense to you? Probably what is really going on is that they are loosing they motivation because they actually feel guilty deep down inside because they know in their heart that they taken the necessary steps to actually do the work. 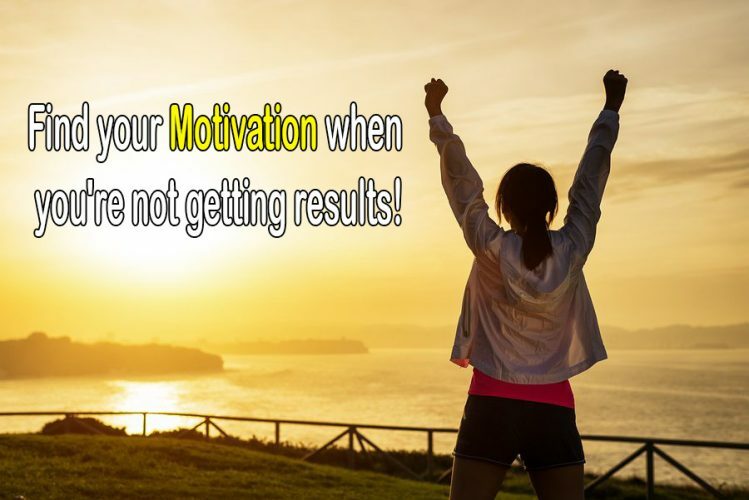 So.. How do you find the motivation to continue if you aren’t getting any results? #1 ➡️ You’re Not Doing the Work and You are Losing Motivation. Get real with yourself. Really take a look at your desires and your goals. Ask yourself why did you start this business you are in? What are the reasons? These questions alone should be able to guide you to the motivation you had when you started. Get out a piece of paper and write down all the steps need to obtain you goals. Track exactly what you are doing everyday and hold your self accountable to those action steps needed. You need to take the responsibility to step up to the plate and complete your income producing activities for the next 30 days. You do that and you will ingrain those steps into you. Creating a habit which you must take action on. Better yet, join our Facebook group Intentional Success Academy. It’s an opportunity to join a community which focuses on you. 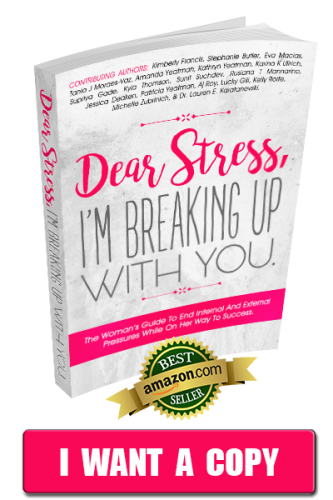 Teaches you the skills needed to take those action steps in your business and motivate you to keep going. By learning the skills required you will find the motivation on your own as you start to get those results. 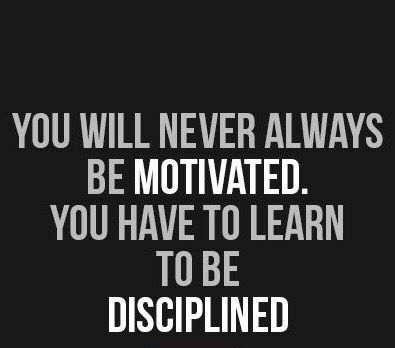 Either way…track yourself so you can see if you have a reason to have lost your motivation or not. It’s one thing to lose motivation because you’ve put the work in and haven’t seen results, but when you haven’t actually done anything…that’s another story altogether. #2: ➡️ You’ve Put in the Work and Haven’t Gotten Results. giving it your best for a month. Frankly that just isn’t enough time to judge how things are going. Even 6 months might not be enough. In the beginning you are reallytrying to fill your pipeline. If you’ve put a year or more of constant effort into your network marketing business, and you literally have nothing to show for it, you need to look at a few things. How do you sound with your prospects? How are you talking to your prospect? Do you speak with posture or are you giving them all the power? Are you alienating people and being too pushy? Don’t try to push people into a sale or to join you. The basic job of any network marketer in to collect a decision. That’s right, no convincing! Present the information and find out where people are at! It’s actually that basic.. We are decision takers. Do you drop the ball on follow up? Have you hear the old adage? “The money is in the follow up?” Well, it is no lie.. If you are speaking to potential customers or reps. You need to set a followup time to make sure they have seen the information and to see if they have any questions. If you don’t reach back out to them, then you will never have a customer. This holds true even if they say “No” the first time. You need to keep following up with these people. The the timing may just have not been right for them. This is one of the biggest mistakes people in any sales type business make. It’s not actually asking for the sale or even asking to see if someone is even open to taking a look at what you have to offer them. Are you following a successful system others are getting results in? Do you have a system to follow? A system which reached you how to bring people to you. A system which you can show others how to do the same thing. We learned this early on. You have to follow a system which teaches, pushes, has community and is duplicatable. Don’t have a system of yours isn’t working. This is the one we use. Click here to check it out. Bottom line here is analyzing what you’re doing so you can find out exactly what the problem is. If other people are getting results and you’re not…and you know FOR SURE that you’re putting in a lot of proper effort, then you have to look at what you’re doing and HOW you’re doing it. Yet again…one of the big reasons why I suggest people record themselves. Record your calls, your meetings your presentations…and look back at what you’ve been doing to see if you can identify what the problem is. You should be tracking everything! If you have any questions on how to build a successful online business or what business I choose and became successful with reach out to us. the Top Leaders are doing that your are not! Head here to Find out their secrets! 5 Key Traits Of Successful Entrepreneurs!